The Filipino designer has previously expressed his wish for the young actress to walk in his collaboration show with Hello Kitty. 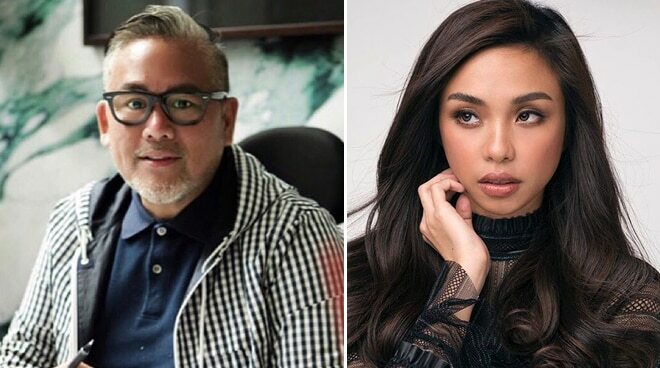 Filipino fashion designer Rajo Laurel may have been unable to book Maymay Entrata for his upcoming fashion show in collaboration with Hello Kitty this Friday, November 23, but such defeat wouldn’t stop him from dreaming of working with the young actress in the foreseeable future. On Twitter, Rajo revealed having sent arranged flowers to Maymay, who is currently in Dubai for the Arab Fashion Show. “In God’s time, I will wait,” wrote the designer, who has previously confirmed creating a piece tailored especially for the Pinoy Big Brother grand winner. Meanwhile, Maymay, who is slowly making her dreams come true by working with internationally acclaimed designer Furne One in Dubai for her first-ever international modeling stint, said that she would definitely say yes to Rajo. “Kahit ‘di niya po ako tanungin, ‘oo’ ako dun kasi si sir Rajo yun eh. Sikat na designer po yun eh, parang ano, nakakapawis [laughs],” said the Fantastica star to ABS-CBN Entertainment reporter MJ Felipe.